Harrison Was the Last President with a Full Beard, and the First to Have His Voice Recorded! Need to brush up on your Benjamin Harrison facts? You’re not the only one! In 2012 a New York Magazine article tried to answer the tongue-in-cheek question, “Who is the most forgotten president in history?” They eliminated from the running the founding fathers, anyone too recent, anyone who was assassinated or died in office, anyone who served two terms, had a memorable name, was notorious for being one of the worst presidents, or even just had kooky facial hair! Once all of these criteria were applied, it was concluded that the winner was Benjamin Harrison! 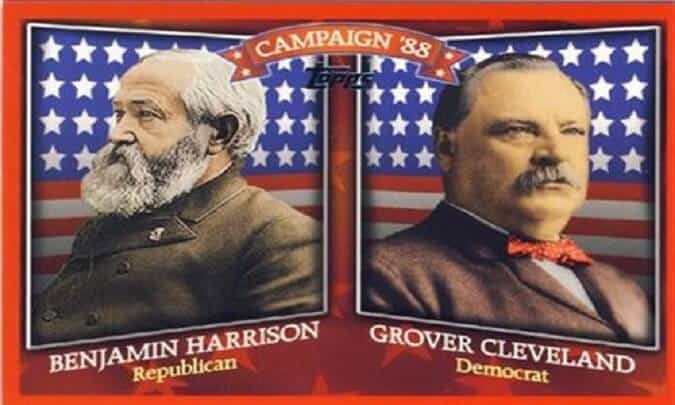 But, although Harrison is often overlooked, his four-year term in office from 1889-93 was actually a busy and formative time in American history. So, read on to wow your friends with fun and intriguing facts about this little-known president. 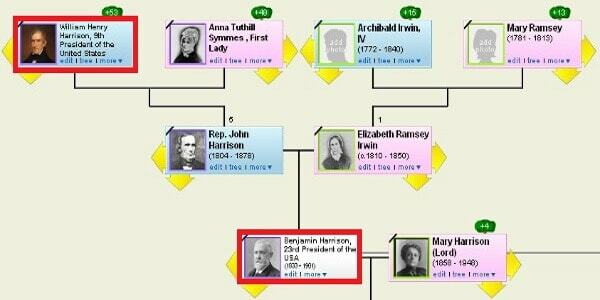 One of the better-known Benjamin Harrison facts is that presidency ran in his family. Harrison was born on August 20 1833, the second of eight children. He was part of the Virginia Harrisons, an old American family that had immigrated to the New World in around 1630. His famous ancestors include Benjamin Harrison V, who had been governor of Virginia and signed the Declaration of Independence, and his grandfather William Henry Harrison, who was the ninth President of the United States, and the first to die in office. Despite his impressive lineage, one of the most interesting Benjamin Harrison facts is that his family were not very wealthy, and his father used most of his savings and wages paying for a good education for Benjamin and his other children. This education began in a one-room schoolhouse near the Harrison’s home in Ohio, and later in the Farmer’s College near Cincinnati. It was here that Benjamin met his future wife Caroline Lavinia Scott, who was the daughter of his science professor! After prep college, Harrison attended Miami University, Oxford, in 1850. While a student, he was part of the fraternity, Phi Delta Theta, which would become an important social – and in some cases, political – network for him for the rest of his life. After finishing college, Harrison decided to become a lawyer. He became an apprentice at the office of Storer & Gwynne in Cincinnati, and, in 1854, moved to Indiana with his new wife Caroline, and was admitted to the bar. 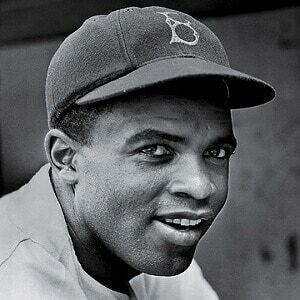 In the same year, Harrison became a crier for the Federal Court of Indianapolis, a job which earned him $2.50 a day. Benjamin Harrison’s role in the American Civil War developed quickly. He began by working in recruitment, and was then commissioned as a captain and company commander on July 22 1862. He became a colonel in August of the same year, as part of the 70th Indiana regiment. This regiment proceeded to join the Union Army in Louisville, Kentucky, and spent much of the first couple of years of the war guarding railroads and performing reconnaissance duties. In 1864, however, they moved to the front lines of the war, and Harrison wound up commanding a whole brigade through several battles, including Resaca, Cassville, Lost Mountain, Peachtree Creek and Atlanta. During and after the Civil War, Harrison earned himself a growing reputation in the worlds of both politics and law. He was re-elected as reporter of the Supreme Court of Indiana during this period, and was often willing to make speeches on behalf of other Republican candidates, since he was known for being a good public speaker. He eventually decided to run for Governor of Indiana himself in 1872, but one of the most interesting Benjamin Harrison facts from this time is that he lost! He suffered another unsuccessful attempt in 1876. In the end, however, Harrison became a United States Senator in 1881, and served in this position from March 4 1881 to March 4 1887. After two more years of political experience, and a closely fought and narrowly won campaign, we come to one of the most important Benjamin Harrison facts. This is, of course, that he was elected president! To do this, he beat the incumbent President Grover Cleveland. Interestingly though, he didn’t actually win the popular vote. 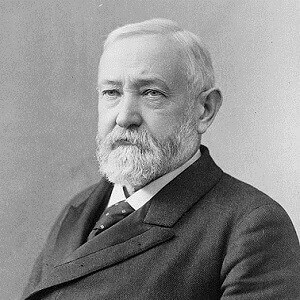 With regard to the 1888 election, a review of Benjamin Harrison facts suggests that he actually lost the popular vote by 90,000 votes, but won in the electoral college. This allowed him to be sworn in as the 23rd President of the United States on March 4 1889. He was known as the ‘Centennial President’, because it had been 100 years since George Washington had first taken up the position in 1789. Reports from the day suggest that his inaugural ceremony was held during a rainstorm, but that the outgoing president Cleveland held an umbrella over his head while Harrison gave his speech! When it comes to Benjamin Harrison facts, some of the most significant developments under his leadership involved new economic actions intended to promote and protect American business. One of the most famous is the Tariff Act of 1890, otherwise known as the McKinley Tariff . This policy raised taxes on imported foreign goods by almost 50 %. The purpose of this was two-fold: to raise money for the federal government, and to protect domestic markets from foreign competition. Another landmark economic policy of Harrison’s time in office was the Sherman Anti-trust Act, also of 1890. This statute meant that business activities could be investigated, and eventually prohibited, if they were deemed anti-competitive. Although most Benjamin Harrison facts are not widely known, the majority of people in the USA will have benefited from this one at some point, whether they realize it or not! In March 1891, Harrison signed a Land Revision Act. This act allowed land to be set apart by the government as a protected reserve. A month after the law had passed, Harrison began creating what are known to us now as National Parks and Nature Reserves. He authorized the first ever U.S. forest reserve, on land adjacent to Yellowstone Park, Wyoming. During his term he continued this work, and by the time he left office he had protected up to 22 million acres of forest reservations. There are also some impressive Benjamin Harrison facts relating to his attitude to civil rights. Harrison wished to prosecute those who were violating voting rights, particularly in the south of the country, and preventing black men from voting. He endorsed the Federal Elections Bill in 1890, which was aimed at protecting the right of suffrage and other civil rights for people of color. However, the bill was defeated in the Senate. After this setback, Harrison continued to speak up for the rights of people of color in the United States, and lent his support to several other bills aiming to protect civil rights and improve living conditions, for example by granting federal funding to schools regardless of race. Sadly, these bills were repeatedly rejected. Now we’ve covered some important Benjamin Harrison facts, you might find yourself wanting to learn more about the man, or pay your respects to him. If so, head to Indianapolis, where the only President to come from Indiana is still celebrated. In 1908, a memorial statue of Harrison was erected in the University Park, overlooking the United States Courthouse and Birch Bayh Federal Building. This statue was put there by the people of the city. It was created by Henry Bacon and Charles Niehaus, to celebrate and honor Harrison’s military, political and legal contributions to the country. Can’t make it over to Indiana? Try looking in your wallet! As of 2012, a new dollar coin has been released with Harrison’s face on it. Sometimes, interesting trivia about a president can tell you a lot about the times they were living in. As a president whose era in office was at the end of the 19th century, Harrison lived through some great changes. Benjamin Harrison facts suggest that he was the last president in history to sport a full beard, which soon went out of fashion in the following century. Yet he was also living in the early years of some exciting new technological developments − in 1889 Harrison had a 36-second speech recorded on a wax phonograph cylinder, making him the first president in history whose voice was preserved. When it comes to the presidential living quarters, one of the most memorable of Benjamin Harrison facts is that it was he who modernized the White House. During his time in office, electric lighting was installed in the house by the Edison General Electric Company. Yet reportedly, Harrison and his wife Caroline were very nervous of electrocution, and would avoid touching the light switches at all costs! In today’s world of personality politics, Harrison might have struggled. While there are plenty of commendable Benjamin Harrison facts regarding his policies and achievements, he was apparently not always the most popular man among his contemporaries. 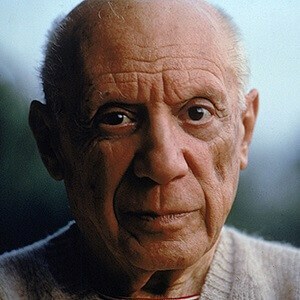 Indeed, he was reportedly nicknamed the human iceberg because of his stiff and formal manner in conversation. There are some interesting Benjamin Harrison facts relating to his diplomatic response to some rather silly rivalries. In 1889, the states of North Dakota and South Dakota were admitted into the Union. However, the two had a notorious rivalry, with disputes kicking off over the smallest of issues. So, how did Harrison deal with the issue of who would join the Union first? He shuffled the deck! By shuffling up the papers, he ensured he couldn’t see the names, so no one could know which state was technically signed into the Union before the other! Benjamin Harrison was the 23rd President of the United States. His term in office began in March 1889, and lasted until the same month in 1893. Harrison was a Republican, and before his presidency had worked as a lawyer in Indiana. He also served the Union army during the American Civil War, and commanded a brigade in several significant battles. Harrison is one of the least well-known of American presidents. However, those that do remember him know him for his role in implementing several important economic policies, for the creation of nature and forest reserves and for his unsuccessful but laudable attempts to pass bills that would improve civil rights for all. Harrison is also known as the only president to hail from Indiana, the only one whose grandfather was also a president, and the last to sport the full beard so favored by the first century of presidents.